There are many workplaces in which a worker may be attacked by an animal. In some cases, an animal bite is a result of actions by an animal owned by the employer. For example, a farm employer might own a horse that bites one of the farmhands. In other cases, an animal bite is inflicted by an animal owned by someone else. For example, a utility worker may be bitten by a dog while inspecting the utilities on a customer's property. 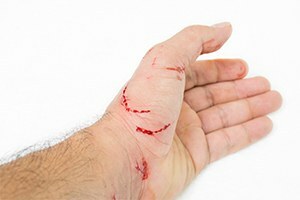 If you suffer an animal bite while on the job, the experienced Boston workers’ compensation attorneys at Pulgini & Norton may be able to assist you with your claim. Animal bites may be serious, leaving permanent scars or disfigurement. In many cases, a victim requires emergency medical care and must stay home for several days or weeks to recover from the wounds. When an animal bite is work-related, an employee may recover workers' compensation benefits. Most employers in Massachusetts are required to carry workers' compensation insurance for employees who are injured by an event that is an outgrowth of their employment. Generally, there needs to be a causal connection between the animal bite and the work itself. The act that results in a bite needs to be an act reasonably contemplated by the nature of the employment. The workers' compensation system was designed to make it easier for workers to recover benefits and protect employers against huge claims for damages. In the Massachusetts system, workers do not need to prove fault. However, workers' compensation does not provide the full range of reimbursement that would be available if you were bitten by a dog on a friend's property, for example, and filed a personal injury lawsuit using tort theories of recovery. Among other things, you may not recover benefits for noneconomic damages like pain and suffering, which could be sizeable in a personal injury lawsuit based on a significant dog bite. Your exclusive remedy against an employer for a job-related injury is probably a workers' compensation claim, even if an employer failed to correct a known safety violation, such as a dog known to have problematic behaviors. For a dog bite, you may be able to recover benefits such as temporary total disability, partial total disability, medical expenses, vocational rehabilitation, and scarring and disfigurement. Generally, you may receive a lump sum payment if you suffer permanent scarring or disfigurement. While benefits tend to be for visible scars, when scarring results in lost function that necessitates a cane or prosthetic device, a lump sum payment for scarring may also be available. You will need evidence to back up your claim, including a physician's report and descriptions of the disfigurement, as well as how long any lost function is expected to last. Animal bites arising out of a workplace event may be painful and permanent. It is important to retain legal counsel to help you present your case persuasively to an insurer and the DIA. At Pulgini & Norton, our Boston workers' compensation lawyers are ready to help you with your claim. We also provide legal representation to people in Medford, Cambridge, and Andover, among other Massachusetts cities. Call us at 781-843-2200 or complete our online form for an appointment with a job accident attorney.